← Triple Dog Dare Is Now Available! Back in January of 2013, I got the notion that people might like a book that gives them samples from a good number of books – sort of like a reading buffet. This book would contain a little bit about the excerpt, the author, some links, and a book cover. If the book was cheap enough, or even free – well, it would be a no-brainer – and would give readers the opportunity to explore some authors they might not normally purchase. 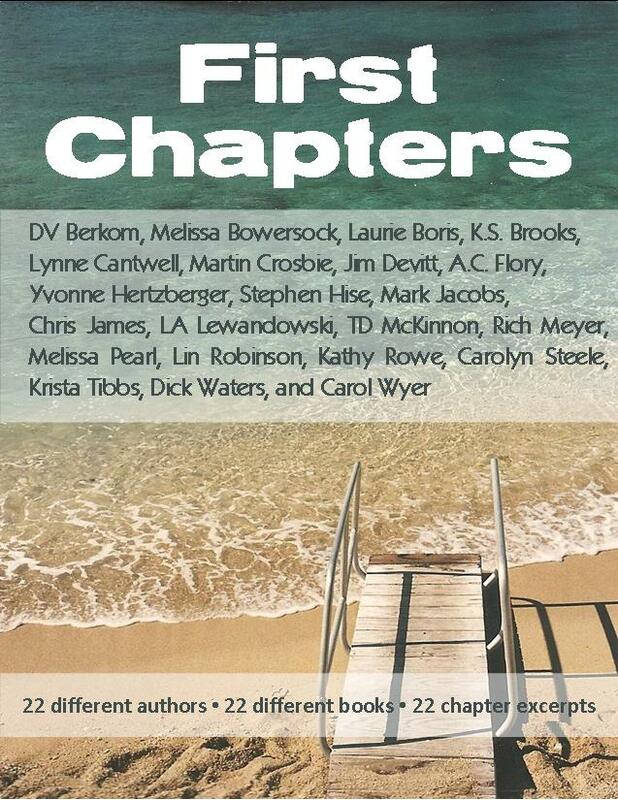 Well, that notion came to fruition on July 29, 2013 when I published “First Chapters.” It includes 22 different chapters from 22 different books by 22 different authors. Okay, so I’m a little late letting you know about it. So sue me. Normally, this book is priced at 99 cents, but on September 20 and 21, it will be free. You can learn more about First Chapters on my website. It has its own page that I made myself. Don’t make me cry. I worked hard making that page. Check it out. I hope you enjoy it. This entry was posted in Publishing, Writing and tagged anthology, author k. s. brooks, First Chapters, free ebooks. Bookmark the permalink.